Treasure Island in Florida not just features adequate possibilities for outdoor activities but also amazing shopping & dinning. With its opulent history & sunny climate, it is no surprise Treasure Island is a major location in Florida where people want to rent or own a property. No doubt rental property in Treasure Island is a valuable investment, but majority of the owners find it too challenging & time-taking to promote their property & manage tenants (alongside related cleaning & maintenance issues), particularly if you are not residing close to your property. If this is your case, then you are an ideal candidate to take advantage of our comprehensive Treasure Island property management solution. 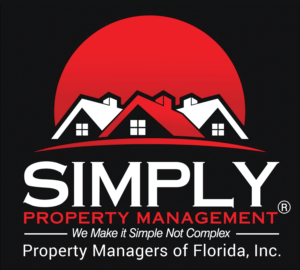 At Simply Property Management, we specialize in residential property management in Treasure Island FL and promise to transform your rental property into a hassle-free investment that you have been looking for. We have a comprehensive range of services for landlords, home owners and investors. With us, you will enjoy the peace of mind knowing that your Treasure Island property is being managed professionally to get the maximum output from your investment. Our commitment to excellence, years of experience and also responsiveness & adjustment to market forces, makes sure that we offer top-notch property management solutions to our valued clients. What we can do for your property management in Treasure Island Florida? We are passionate about what we do, assuring unmatched property management solution for both our valued clients & tenants. At Simply Property Management, we are quite confident that our reputation and services in the community will offer the peace of mind that your Treasure Island property is in safe hands. We thrive when clients accomplish their investment objectives through our competent counsel & professional handling of their real-estate assets. We guarantee that your Treasure Island property will be well maintained & your rental earning will be maximized. Our consulting services will assist you in every department right from pricing your rental property to preparing it to showcase. Whether you own a condo, an apartment, townhouse or any other type of residential property in Treasure Island, we are here to help. Get in touch with us now to know more about our Treasure Island property management service.